Bursaspor vs Trabzonspor betting tips – It is a duel in the Turkey Championship, which will be played on Friday, April 12th. 1. Statistical data to be taken into consideration before playing Bursaspor vs Trabzonspor betting tips! It’s a modest team that has a poor track record in this championship edition. It is at the bottom of the ranking, on the 15th place, at a point of retrogradation. In the 27 stages of the championship he has accumulated only 28 points. So far he has managed only 5 wins, drawing 13 times, suffering 9 defeats. In all these games scored 24 goals, receiving 8 more. He was in a poor form, coming after 3 games without success. In this he lost with Galatasaray and Alanyaspor, drawing in the dispute with Ankaragucu. It is a better team that looks great in this season. It is in the top of the ranking, fourth place. He has great hopes of returning to the Europa League, with great chances. So far he has gathered 46 points in the 27 championship games. He has won 13 wins and 7 draws, suffering 7 defeats. He has a good attack, scoring 49 times, winning 12 less goals. It is unbeaten in the last 5 stages of the championship. In this he managed 4 victories with Goztepe, Akhisarspor, Erzurum and Antalyaspor. 2. Latest information before Bursaspor vs Trabzonspor! He will not be able to rely on Yardimci, Meras, and Shehu, all of whom are unavailable due to injuries. According to the club’s official site, Onazi and Corekci will be missing, both of whom are injured. 3. Bursaspor vs Trabzonspor probable teams. Bursaspor (4-2-3-1): Kocuk – Latovlevici, Ersoy, Chedjou, Kapacak – Kara, Badji – Erdogan, Saivet, Torun – Nayir. 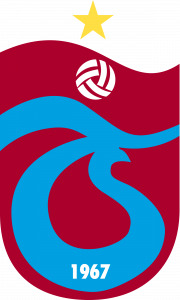 Trabzonspor (4-2-3-1): Cakir – Novak, Turkmen, Hosseini, Pereira – Parmak, Sosa – Nwakaeme, Yazici, Ekuban – Rodallega. 4. Bursaspor vs Trabzonspor latest last meeting info! In the last five direct defeats we had 3 wins for Trabzonspor and only one for Bursaspor. The match ended in a draw, score 1-1, played on Trabzonspor’s field. 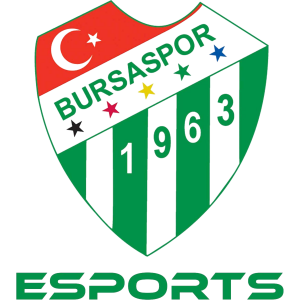 Bursaspor is a modest team that does not look good at this season. It is also in a weak form, coming after two defeats, which certainly affected its morale. On the other hand, Trabzonspor is a better band that goes through a fantastic period. So I expect a match where guests will get a positive result, even if they play away. Bookmakers offer a very good odds of 1.57 for this forecast, with great chances of success. Also, for a higher odds, which is more risky, you can also bet on the gap, with bookmakers offering odds of 3.55 for a minimum of 4 points.